How Do I Force Windows to Reinstall a Driver? - Ask Leo! Sometimes fixing a pesky problem with a hardware device is as simple as forcing Windows to reinstall a driver. I'll show you how. My machine is an emachines T2792 and has six USB ports. No matter which port I plug into or what type of hardware that I try to use, my computer tells me that the “hardware has malfunctioned” or “hardware not recognized”. My OS is XP-Home edition. I’ve tried no fewer than a half-dozen driver repair and PC rejuvenators – all to no avail. What do you think is the most likely culprit? My knee-jerk reaction is to say that the half-dozen driver repair and PC rejuvenators are at fault. Many are no better than snake oil; they either add problems where there previously had been none, or make existing problems worse. I recommend avoiding them completely. However, there was a problem before you tried them, so they can’t be completely at fault. We do need to seriously consider that the hardware here has a problem, and no amount of driver fiddling is going to fix that. But before we throw in the towel on a software solution, there is one thing worth trying. As with many “let’s try this” diagnostic scenarios, it’s worth reminding you that you should take a full-system backup before you begin. The problem is very simple: sometimes the thing that we try makes matters worse instead of better. This is particularly true when we’re fiddling with device drivers. By taking a full-system backup, you’re establishing an “it can’t get any worse than this” point that you can revert to in case things do indeed get worse as a result of our efforts. I’m not talking about a system restore here; I do mean a real, honest-to-goodness full-image backup. The problem is that a system restore… well, it’s not capable of restoring your system, at least not from everything. The only bullet-proof protection is a full-system image backup. 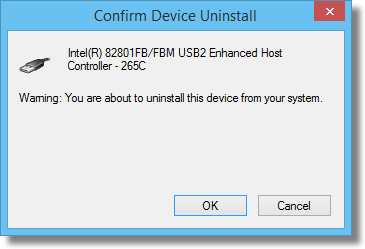 The approach that we’re going to take is to instruct Windows to remove the driver(s) for your USB hardware. Then we’ll instruct Windows to look for hardware changes. Windows will “discover” that there’s hardware on your machine that it recognizes, but for which it doesn’t have drivers installed. It will then reinstall a driver from scratch. The net result is that the software associated with the device is re-initialized to an original and hopefully clean state. Start with Computer Management. There are many ways to get to it that differ slightly between Windows versions. 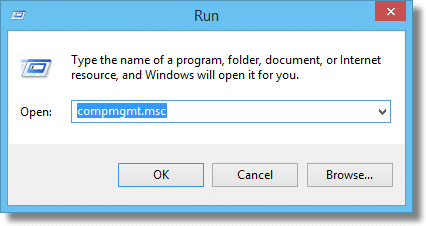 One approach that appears to work in all is to click Start and then Run, or to hold down the Windows Key and and type R. Into the resulting Run dialog, type compmgmt.msc and click OK.
Click OK, and the driver will be removed. Depending on the device, you may need to reboot it for the removal to take effect (which may also cause the next step to happen automatically as well). This scan for changes is actually part of what’s called “plug and play”, where Windows scans for new hardware on boot and automatically installs drivers for any new hardware found. As part of the scan, Windows should indeed “find new hardware”, so to speak, and reinstall a driver for it. Important: Windows may ask you for your installation media in order to locate and install drivers for the device. Once installed and ready for use, give your USB ports another try. There’s a chance that they may work. If not, repeat for the other USB controller devices listed, and test them again. If the driver installation fails, this might mean that, yes, the hardware itself is having some kind of problem, and may be in need of repair or replacement. It’s at least in need of more complete diagnostics to determine what to do next. And if, after all of our efforts, there are things that aren’t working, or are working worse than they were before, you can revert to the backup image that you took before you started. That will return your machine to the state that it was in prior to our little experiment. 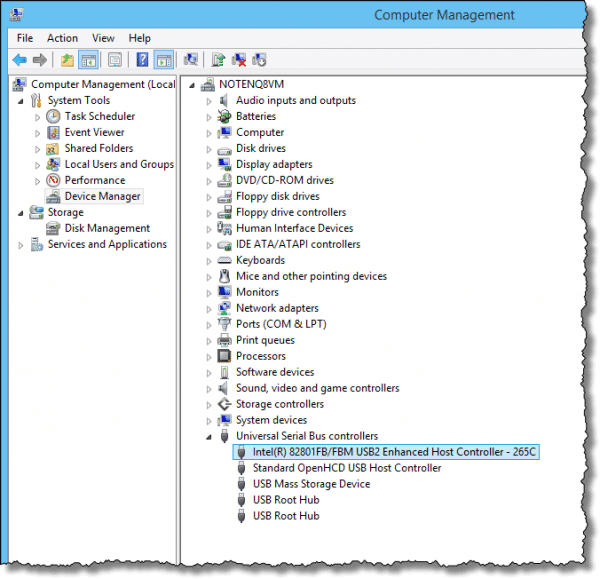 « Previous post: How Do I Monitor Network Activity on My Windows Machine? I have heard third-hand (not having experienced it myself) that the above steps sometimes don’t actually get rid of the old drivers, and will simply reinstall the same (broken?) drivers. But, if you do the uninstall/remove in safe mode, it “really, truly” gets rid of the current drivers. So, if the above doesn’t work, try it again by uninstalling the driver in safe mode, and then rebooting. That should then force new drivers to be installed when it detects the hardware. Leo, you are indeed a godsend. Though I hesitate to employ the tactics you advised for fear of losing the little headway I’ve made thus far, I want you to know I’m truly grateful for your concern and efforts. You did at least reply without a price tag. Just prior to tossing this maddening machine out the nearest window, I promise to try your approach. After all, I can’t tear it up any worse. Smells a bit like a bad motherboard to me. If the computer is out of warranty and it was an off-the-shelf consumer product, the window might turn out to be the best option. We have used the remove, reboot, reinstall steps for years. Always my first steps when I have that type of failure – and always worked whenever it hasn’t been a hardware failure. Johnny, It’s a bit of a long shot because you say all the ports are failing at the same time, but you could also open the case and check to see that the USB port connections to the motherboard are seated properly. I’ve seen situations where the PC case didn’t match the motherboard’s configuration. The case wires for the front USB ports were never connected to the motherboard because the board lacked the places for the connections. The rear connectors were not properly seated either, so all the ports failed. Still, I agree that it sounds like a motherboard failure. If so a USB board snapped into a PCI slot would be the quickest, least expensive fix. I’d also remove those driver helpers and do a fresh install of a good Malware scanner. Chances are at least one of those helpers did more harm than good. If you do decide to open the case, do a search for “bulging caps” first and familiarize yourself with what a bulging capacitor looks like before you plop any cash down for a new USB port card. Bad capacitors can be the source of many odd issues. If you see any on your motherboard, it’s either time to do some soldering or time to look for a new PC. 1 important information appears to be missing in the question: has any of the USB-ports been working earlier, or have none done so? In case 1 Leos solutions are relevant, in case 2 it must probably be a hardware error. Another relevant information missing is whether the ports in question are the ones built into the mainboard or “external” i.e. connected by cables. To check if the hardware is functioning, you could boot your computer from a Linux Live CD (let’s say the one from Ubuntu), and check if you can use the USB ports. I like your site, It’s very helpful. Can I image my hard drive or clone it or, how can this mission complete ? You are sooooooooooo wrong here. I am really sorry to use the word ‘wrong’ instead of ‘incomplete, but given the fact that you are an experienced expert, this solution is more like a wrong one than an incomplete one. First of all, this problem is actually far worse than being a simple driver issue. If you search internet for this problem you are sure to get a number of remedies out of which no one works for everyone. This tells me how complicated the problem is. I know this because I experienced it and believe me first time it was this solution that worked but second time no solution worked! As you suggest, I also thought my USB hardware is dead. But, it was not. While I stopped looking for solutions and planned to replace my laptop, one day I found out that accidentally short circuiting my USB port rectified the problem! I thought I knew the final solution but then it malfunctioned third time and to my surprise even shorting USB port did not solve the problem. But then, one fine day the problem vanished all by itself (at least I don’t remember anything I did that could possibly solve it). So, I request you to please search it on internet and see for yourself how many people are suffering from this problem and that your solution (also advised by Microsoft) is of no use to many people. With all due respect, I never claimed that this was THE solution to ALL USB problems. I’m sure you’ll agree that not all problems are the same. 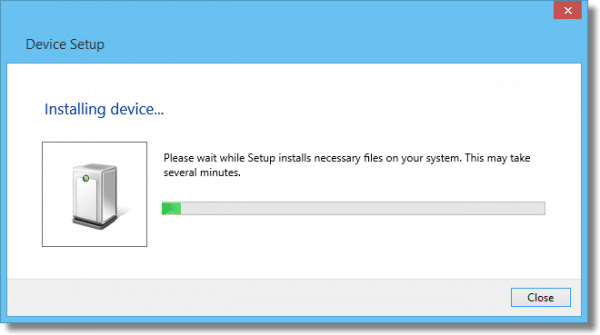 This article exists specifically to show people how to force Windows to reinstall a driver, using USB as an example. It does work for many types of USB problems, but as I said, I never claimed all. I have had great results using this method. I always try the simple and less time consuming things first and this only takes a couple of minutes. Getting flustered and assuming the worst is a waste of time without trying the simple fixes first. when you go to device manager the list of shows all of the installed components, the ones with a yellow triangle in front are the ones not working. What if, the drivers that are found defective belong to the Main Processors? I have a quad core processor ‘AMD A8-3870 APU with Radeon Graphics.JPG 2’. All the 4 processor drivers are defective. I tried to uninstall them. They get uninstalled, but after a restart, the issue remains as such. The latest driver software from AMD is installed. On another installation on the same computer, of the ‘Windows Technical preview’ on another physical hard drive I do not have this problem. So I understand that it is not a hardware issue. The issue is software related. I cannot roll back to the original drver because the ‘Roll back’ button is not highlighted. I did this process on safe booting as well. Please advise. A related topic was not traced in the topics. I have licensed Macrium Reflect and Acronis True Image, all well updated. Following a re-imaging using Macrium Reflect, Of late, I have detected that the cause of one of my never solved problem was due to Mactium reflect. All the 4 drivers of my CPU are seen as defective in device manager, inspite of installing the latest drivers from ASUS. Though the system works OK, except for frequent freezes. Since I could not find any solutions I recently re-installed windows and all the applications afresh. This driver problem was not there originally before a backing up and re-installation was done. A re-imaging with Acronis of the same installaiton did not show any driver issues. I repeated the process twice, and I am now sure that there is some bug somewhere with Macrium reflect. IT MAY BE NOTED THAT BOTH THE BACKUPS WERE DONE ONE AFTER THE OTHER. Please advise me as to how to solve this and the possible causes. IU want to work it out myself. I tried this method for a USB printer problem, and it inadvertently disabled my USB mouse and keyboard! Luckily I had additional USB ports on the front of the computer to get them working. Just a heads up for everybody else!